It’s only natural to want your family to be active and healthy, that’s why David Lloyd Geneva offer a huge range of activities that you can all enjoy both individually and together as a family. Spend a family day in your local club and have plenty of choice – go swimming, play tennis or eat in our DLicious cafebar. While the children enjoy our Kids Club you can take some time to relax in the spa or join a group class. The perfect place to spend time as family! As part of our huge investment in David Lloyd Geneva, we have introduced some fantastic ways to spend time as a family. 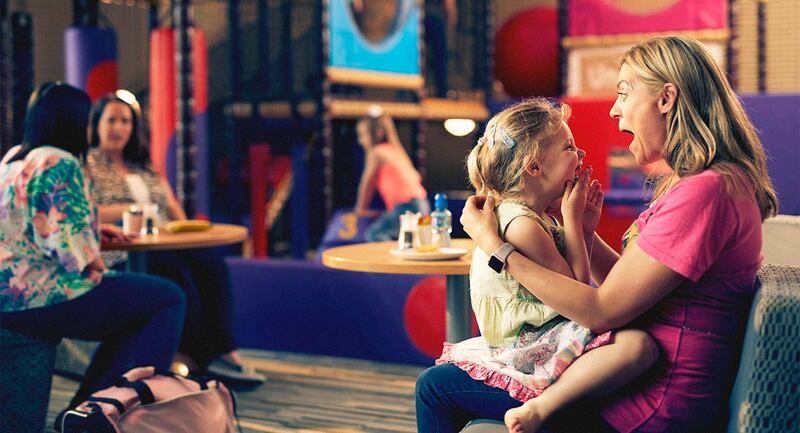 In our cafebar there is a dedicated space for families, as well as a playframe that children will love to explore. Plus, there are activities for parents and children – from swimming lessons, to DL Kids sessions and group exercise classes, there’s so much choice! David Lloyd Geneva is a space for you to use in a way that suits you and your family. You can come here for a family swim, or perhaps a friendly game of tennis on our courts. Plus, as part of our €6 million investment in the club, there are now upgraded facilities and new activities on offer! If you’d like to enquire about becoming a member at David Lloyd Geneva then click here to enquire now.